Renowned Mandolin exponent Uppalapu Srinivas passed away at a private hospital on 19 September, 2014 after a prolonged illness. 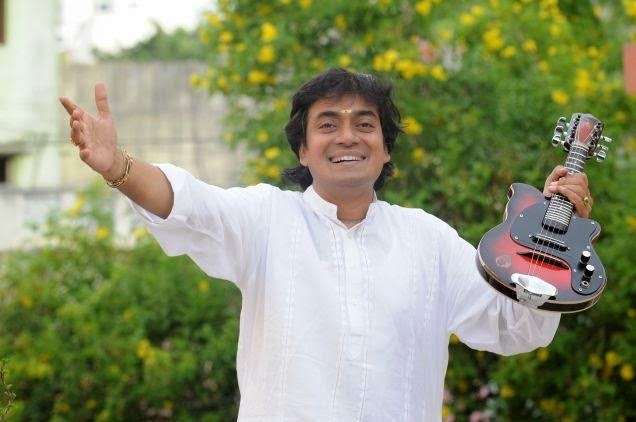 Srinivas (45), popularly known as 'Mandolin Srinivas', is a renowned mandolin player of South Indian Carnatic music. He was being treated for a liver related illness. "He was pronounced dead at 10.00 am," an Apollo hospital spokesperson said. Uppalapu Srinivas, who used to play an electric mandolin, had collaborated with several global artistes including John McLaughlin and Michael Nyman. He was awarded the Padma Shri in 1998 and the Sangeet Natak Akademi Award in 2010. He is a recipient of numerous other awards. He was a follower and devotee of Sri Sathya Sai Baba and had also performed before him on several occasions. Several eminent personalities including music composer A R Rahman condoled Srinivas's death.